While we sleep, our subconscious minds continue to work on problems our conscious minds have failed to solve. Most people who have struggled with a crossword clue know that sometimes they have found the answer easily after sleeping on the problem. ‘Sleeping on it’ has also led to major scientific discoveries, such as the seven examples below. With his long hair, his beard, and his passion for chemistry, Dmitri Mendeleev was a charismatic professor. He had his beard cut once a year. 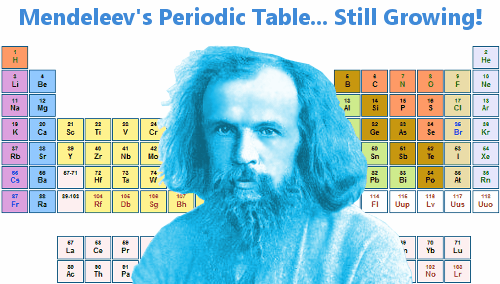 Dmitri Mendeleev was obsessed with finding a logical way to organize the chemical elements. It had been preying on his mind for months. 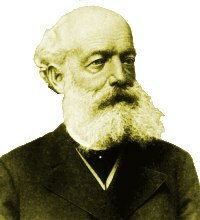 In 1869 he wrote the elements’ names on cards – one element on each card. He then wrote the properties of every element on its own card. He saw that atomic weight was important in some way, but he could not find a pattern. Convinced that he was close to discovering something significant, Mendeleev moved the cards about for many hours until finally he fell asleep at his desk. 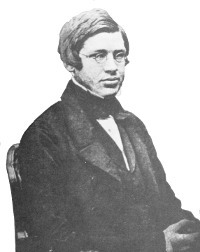 Alfred Russel Wallace had traveled in Brazil and South East Asia recording the species he found, trying to understand the differences he saw when species were separated by geographical barriers. For years he had wondered about how new species could arise, but could find no answer. In 1858, he had an extreme dream, in the shape of hallucinations caused by a tropical fever. When the fever had gone, he found that the theory of evolution by natural selection had come to him. August Kekulé had been worrying about how the atoms in benzene are arranged. It was a tough problem, because the ratio of carbon and hydrogen atoms was unlike that seen in other hydrocarbon compounds. On a cold night in 1865, he had been working on the problem in his room. Unable to find a solution, he turned his chair to the fire and dozed. He began dreaming of atoms dancing. 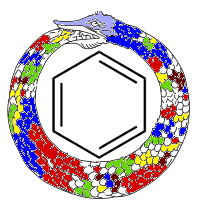 Gradually the atoms arranged themselves into the shape of a snake. Then the snake turned around and bit its own tail. Benzene molecules are made up of rings of carbon atoms. 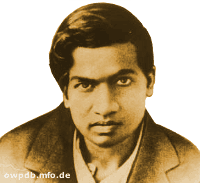 Srinivasa Ramanujan had negligible formal training in mathematics. He died tragically young, aged 32. In his short lifetime he produced almost 4,000 proofs, identities, conjectures and equations in pure mathematics. Although he died in 1920, the richness of his ideas and conjectures in fields such as Elliptic Functions and Number Theory – nearly all of which were correct – were ahead of his time, and continue to inspire and direct research carried out by mathematicians today. The Cambridge University mathematician Godfrey H. Hardy, who worked with Ramanujan, expressed the thought that if mathematicians were rated on the basis of pure talent on a scale from 0 to 100, he himself would be worthy of 25, J.E. Littlewood 30, David Hilbert 80, and Srinivasa Ramanujan 100. 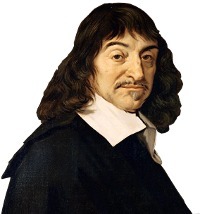 René Descartes built much of the framework of the modern scientific method. He wrote down this framework in his work Discourse on Method. One of his main lines of thought was skepticism – that everything should be doubted until it could be proved. 1. Never accept anything as true until all reasons for doubt can be ruled out. 2. Divide problems into as many parts as possible and necessary to provide an adequate solution. 3. Thoughts should be ordered, starting with the simplest and easiest to know, ascending little by little, and, step by step, to more complex knowledge. 4. Make enumerations so complete, and reviews so general, that nothing is omitted. Descartes wrote that the basis of the Scientific Method came to him in dreams he had on November 10, 1619. 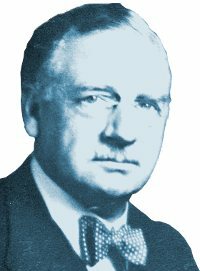 In 1903 Otto Loewi had the thought that nerve signals were possibly transmitted using chemical instructions. He could not think of how he could prove his new idea. In 1920 Loewi had a dream about the problem. He woke excitedly during the night and scribbled notes about the dream. In the morning, he could not remember the dream, and he could not read his nocturnal notes either! The following night, he dreamed about the problem again. The dream was about an experiment he could use to prove his idea, and this time he remembered it. He carried out research based on his dream and published the work in 1921, establishing that signalling across synapses was indeed chemical, as he had suspected. It’s ironic that it took 17 years for subconscious thoughts to come to the surface in the man often called the father of neuroscience! Ironic or not, in 1936 the great man was awarded the Nobel Prize in Medicine for work that came to him in a dream. 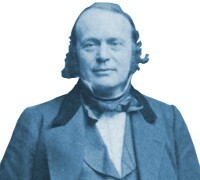 Louis Agassiz was the world’s foremost expert on fish species – both current and extinct. He had been trying to understand the structure of a fossil fish for two weeks, but could make no progress. He had been striving for two weeks to decipher the somewhat obscure impression of a fossil fish on the stone slab in which it was preserved. Weary and perplexed, he put his work aside at last, and tried to dismiss it from his mind. Shortly after, he woke one night persuaded that while asleep he had seen his fish with all the missing features perfectly restored. But when he tried to hold and make fast the image it escaped him. Nevertheless, he went early to work, thinking that on looking anew at the impression he should see something which would put him on the track of his vision. In vain the blurred record was as blank as ever. The next night he saw the fish again, but with no more satisfactory result. When he awoke it disappeared from his memory as before. Hoping that the same experience might be repeated, on the third night he placed a pencil and paper beside his bed before going to sleep. Towards morning the fish reappeared in his dream, confusedly at first, but at last with such distinctness that he had no longer any doubt as to its zoological characters. Still half dreaming, in perfect darkness, he traced these characters on the sheet of paper at the bedside. In the morning he was surprised to see in his nocturnal sketch features which he thought it impossible the fossil itself should reveal. He hastened to work, and, with his drawing as a guide, succeeded in cutting away the surface of the stone under which portions of the fish proved to be hidden. When wholly exposed it corresponded with his dream and his drawing, and he succeeded in classifying it with ease. The subconscious mind is very powerful. Provided the conscious mind absorbs plenty of data while awake, the subconscious mind can process and make sense of the data while asleep. Some of the greatest scientific discoveries in history are testament to the importance of sleep and dreams in the operation of our minds. I am not a scientist but I took a nap during my flight and I dreamt about “Carbon Polyurethane dioxide”. Is there such a thing? It’s totally weird. I don’t recall reading any magazine or label that would show such words. One other thing i learned about “sleeping on a problem” is that your subconscious can process data, circumstances, etc. without social influences and prejudices interfering or biasing the path to the solution/thesis/whatever. Very nice. I was looking for such information. God speaks to us through dreams indeed. This article describes the fascinating! Thank you for compiling this information into such comprehensive, undeniable proof of the power of dreams and the subconscious mind! we have so much knowledge lurking below the level of conscious. releasing that knowledge is the key to a greater truth. often we are too uptight to see the truth that is under our noses. even scientists. dreams have a definite purpose, bringing hidden knowledge to the surface. I first must say, I am no scientist…even remotely, but I love questioning the oddities of life. I am fascinated by the spiritual world and the connectedness of all things. I am constantly pulled back to energy, frequencies, and vibration. After seeing the effects vibration and frequencies have on water, salt, etc., and the “snowflake appearance” that is beautifully formed….it begs the question rather these vibrations and frequencies are a part of the snow flake’s artistry? Can you tell me if this has ever been considered? I also question if these…energy, frequency, and vibration, are part of the equation of how, or why each life form on earth from plant to human are different. This could account for why things like astrology, or the “state of the universe” ….such as the energies, frequencies, and vibrations at the time of our formation and birth…have some basis for truth. Any thoughts??? I love sleeping. I wish i could manage on 7-8 hrs a night, but I need more like 9-10. I’m sure I could achieve more in life if I didn’t need so much sleep. On the other hand, I won a science prize at university for an idea I had in my sleep, so I shouldn’t really complain. Hoping i’ll have another good idea soon. Just an update. I recently met a guy sitting next to me on a plane. He had read some book about humans only needing 4 hours sleep in 24, so that’s how he was now managing his life. I wish I’d been honest enough to tell him that he looked like death warmed up.